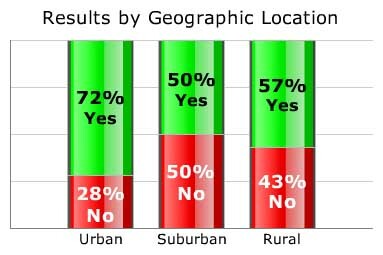 Dentist Survey Results: Should dentists offer Botox? In this poll, we asked dentists if they think cosmetic dentists should be offering non-dental cosmetic procedures such as Botox injections. 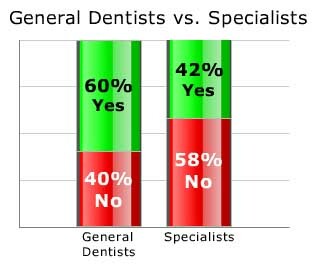 Of our dentist respondents, 57% felt dentists are licensed medical professionals, fully capable of safely offering such simple services. The other 43% think dentists ought to focus on healthy teeth and gums, not Botox or Restylane. General dentists were significantly more open to the idea of dentists offering cosmetic treatments such as Botox than were specialists. 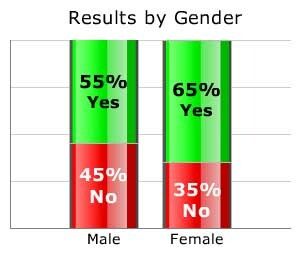 Female dentists were slightly more opposed to dentists offering Botox than their male colleagues. Who else would you have offer Botox?